Niall Comas born 1997 is more commonly known as PyroCynical to his million of viewers and subscribers. He was born in England and started his YouTuber career by uploading MLG parody videos in July 2013 which he since has stopped doing. He now regularly uploads satire commentary videos and controversially has been accused of copying Leafy’s style of video by some viewers. Regardless of this he has since gone on to reveal his face to his fans (like leafy) and is showing no sign of slowing down on YouTube (unlike leafy) already amassing hundreds of millions of combined video views and over 1.5 million subscribers at the time of writing this. What Microphone Does Leafy Pyrocynical Use? Due to complete lack of face reveals and gaming setup videos finding out what Microphone Niall actually uses wasn’t easy but from this screen shot in one of his recent videos our experts can see that he is using the Shure SM7B Microphone. This is an XLR microphone so if you want to use the same high quality mic then make sure when getting the Shure SM7B that you also pick up an XLR cable along with a XLR to USB mixing board which is what PyroCynical and other big YouTubers do. 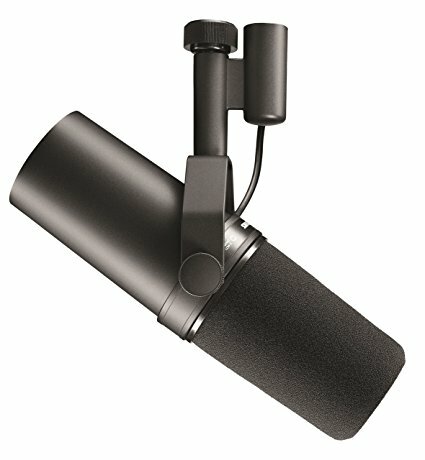 This makes sure you get the highest possible audio recording quality which your viewers will no doubt appreciate. What Microphone does idubbbz use?